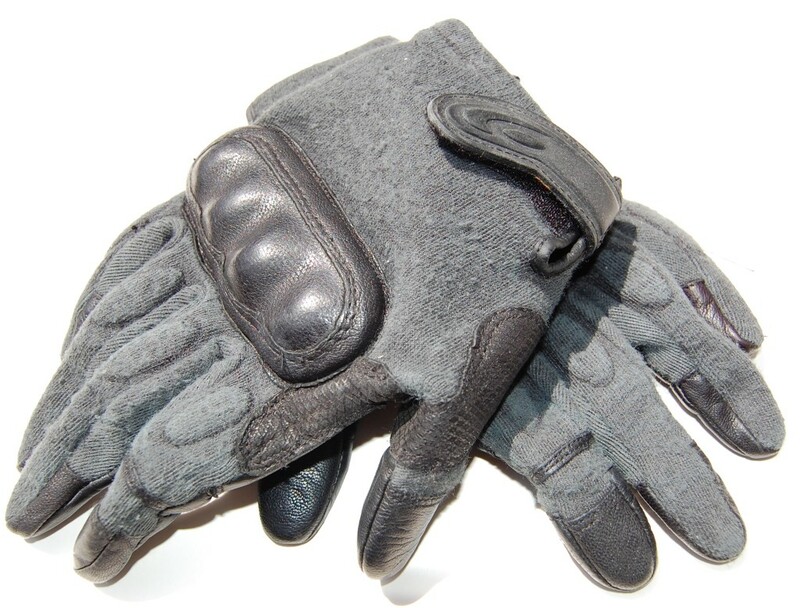 Here we have the Hatch Operator ‘Hard Knuckle’ glove. Available in different colours and materials, this review is based around my personal pair which are the aniline goatskin material. But what does that mean in real life? Well it means they are a nice pair of gloves, but lets break that down. 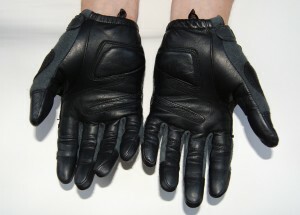 I chose these as they were the most discreet ‘hard knuckle’ gloves I could find at the time. Out of the pack they look great. Nice and smooth, well stitched with no blemishes as you would expected when you buy something new. When you inspect them more closely you might notice that as a pair of gloves, they do not quite ‘mirror’ one another like you would probably expect. On mine, when you compare the thumbs they are slightly different shapes, as is the curve from the thumb to the index finger. I would guess that this is down to the way the leather tips and grips were sown on. To me this was minor and they felt fine when worn. I wanted these gloves to be a ‘snug’ fit and they are certainly that. Held in place with a velcro tab that you pull across to fasten, these gloves don’t move once they are on, even though they literally only cover my hands. As a glove that is designed for hand protection, the palms of the glove are made up of leather and kevlar which is proclaimed to protect from fire and slashes. 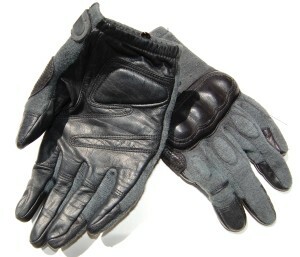 I used these gloves every day for a couple of months. They don’t take up much space so you roll them up and keep them in a jacket pocket. When i was wearing them I would have my hands in and out of pockets, rubbing against velcro tabs on jackets. What has happened is that the top material part of the glove has now gone a little fury. I think this is just the way these gloves will wear regardless and in my opinion they look better showing signs of wear. 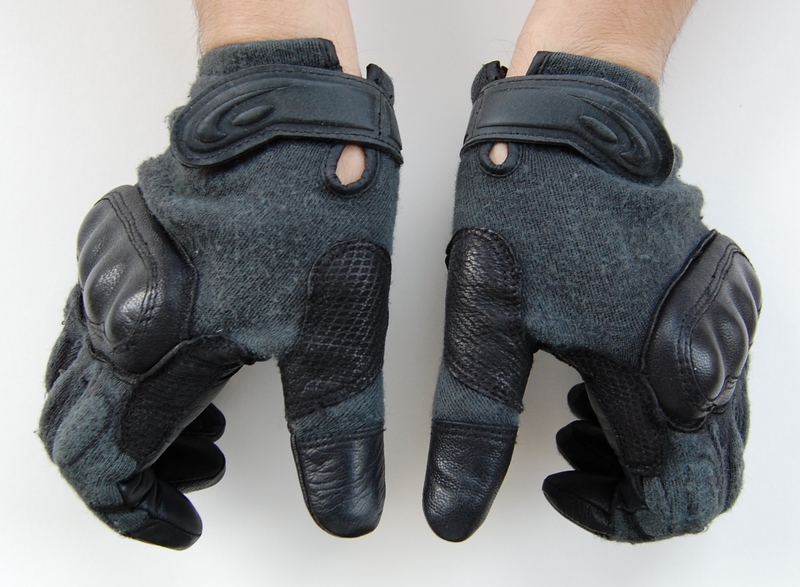 These gloves were designed for operators in hostile environments, hence the addition of the index finger tip cut-away. What Hatch have done is to include a leather ring around the index finger, so if you do want to cut it off you will not get any fraying. The feeling and feedback you get when wearing the Hatch Operator Gloves is pretty good. I can use my leatherman buy only to open the blades that have one-handed opening feature and can break them into pliers. You can’t do anything fiddly with them as the finger tips don’t have and edges so you couldn’t open a Swiss army knife. 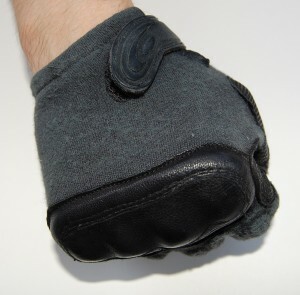 Making a fist, the hard knuckles sit nicely and don’t feel uncomfortable. There is enough give in the material that you can make a fist without the glove slipping down the hand. The Hatch Operator Gloves are ideal for warmer environments or wearing for specific short tasks as they offer no warmth at all. The Hatch Operator Gloves should not be confused with the cheaper ‘airsoft’ imports. 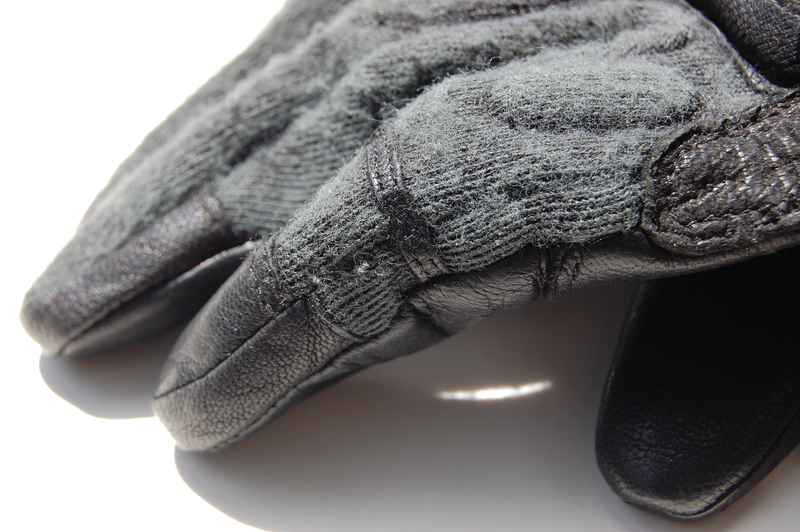 For me, these gloves are a positive addition to my kit and they remain in one of my grab bags. I’m sure you pay a premium for the brand, but while more expensive then some of the other makes, they are made to be used in tough environments so its a bit of kit you can rely on.